Smith & Wesson has identified a condition that may exist in certain model 22-A pistols. Based on our ongoing product review, we have determined that the slides of certain pistols manufactured from August 1, 2008 to February 19, 2009, may not meet the design specification. This can create a situation where insufficient headspace exists creating a risk of unintended discharge. Please contact Smith & Wesson's customer service department for instructions on the return on your pistol. 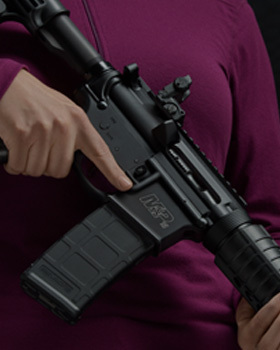 When your pistol is returned, you should note a punch dot which appears on the rear underside of the slide. This punch dot can be seen by locking the slide to the rear and looking at the underside of the slide as seen in the photograph below. 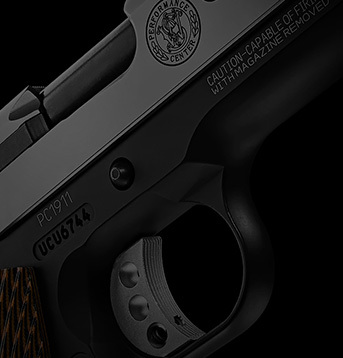 This punch dot is verification that your slide meets specification and the pistol is safe to use. If your pistol already has this punch dot, you do not need to return the firearm. To receive a FedEx pre-paid billable stamp and shipping instructions to arrange for the modification of your pistol email us at 22A@smith-wesson.com or call us at 1-800-331-0852. Please allow 2-3 weeks to receive the information packet from us.